I use several tools to keep Windows XP running smoothly. I know it is an Operating System that is over 10 years old, but it is great. It does what I need it to do. One of the best tools ever is Revo Uninstaller. I have been using this tool for over 4 years and it has never let me down. I always use this tool to uninstall software programs I don't want or need anymore. You can use the programs Uninstall option or the Windows uninstaller. BUT... this tool performs the removal much better than anything else I have ever used before. It is especially good for removing software programs that have become corrupted or still cause issues after removal. I also like the tools that come with the free version of Revo Uninstaller. Autorun Manager allows me to see what loads up when I start my computer, and enable/disable them as required by simply unticking a box. Dead easy! This is how Revo Uninstaller keeps my computer running smoothly. One word to sum it up: Awesome!! Thank you Paul for your contribution. 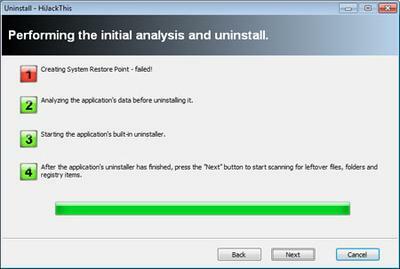 I agree Revo Uninstaller is a good solid product that goes beyond the norm when removing software programs. Revo scans the program before initiating its uninstall process. After this process is complete, it looks for any files, folders or registry entries that have not been removed. It then gives you the option to remove them. I remove them. However, you should be absolutely certain before you delete things from the registry. Your Computer could suffer if you get it wrong. 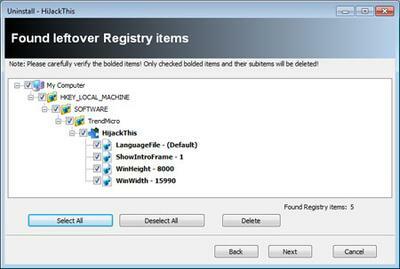 At lease a restore point is created by Revo before uninstall starts. I also note the Pro version delves deeper into your computer for a more thorough clean. It also includes options such as removing leftover files from software programs that have already been uninstalled. This tool is easy to use and the free version is sufficient for use by home computer users. The Autorun Manager is an added bonus in the free version to help you boost the start up time of your computer (The less that starts up, the quick your computer will start up!). It does the same job as Sysinternals Autoruns, although Autoruns has more options. It is worth a look but again if you do not know what you are doing then I suggest you don't tempt fate and end up with a computer that doesn't work properly. Join in and write your own page! It's easy to do. How? Simply click here to return to Clean Install XP.